Creative, confident and connected: inspiring stories of 25 women entrepreneurs! Women entrepreneurs in India face challenges of cultural bias and lack of public safety, in addition to pressures of balancing work, home and family. The book Follow Every Rainbow: Inspiring Stories of 25 Women Entrepreneurs whose Gentle Touch Created Strong Business narrates stories about enterprising women who raised a family as well as a company, with love, laugher and patience. They never gave in or gave up, and carried on to build valuable companies while also giving back to society. Author and researcher Rashmi Bansal classifies women entrepreneurs into three types, reflected in the structure of the book: Lakshmi (entrepreneurs who enlisted family support), Durga (women who overcame hindrances and victimhood and battled hard for success) and Saraswati (educated women entrepreneurs who struck out on their own). Rashmi Bansal is the author of a number of books on startups and social entrepreneurship; see my reviews of her other books Poor Little Rich Slum: What We Saw in Dharavi, and Why it Matters and Take Me Home: The Inspiring Stories of 20 Entrepreneurs from Small Town India with Big-Time Dreams. She graduated from Sophia College in Mumbai and IIM Ahmedabad. The early-stage entrepreneurs and veteran leaders in the book range in age from 20s to 80s, in fields such as IT, textiles, pharmaceuticals, finance, art and civil society. Three are from overseas (China, South Africa, Sri Lanka). The writing style is crisp and direct, with each chapter ending in a page of recommendations for aspiring entrepreneurs. The book provides financial as well as personal details of each narrative, and ends with a list of useful courses (eg. 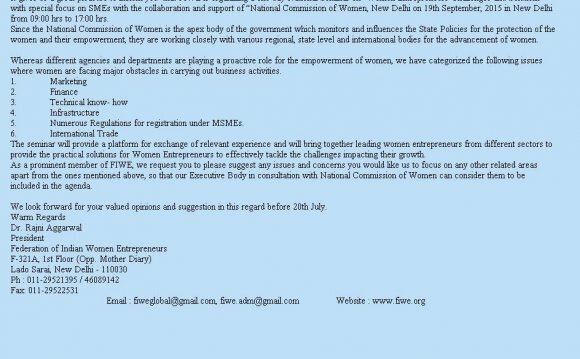 at IIM Bangalore, IIM Udaipur, ISB, SP Jain) and support organisations (TiE Stree Shakti, WEConnect, Fleximoms) for women entrepreneurs. Meena Bindra, Founder of India’s largest readymade ethnic-wear brand Biba, grew up in Delhi but lost her father at a young age. She married a naval officer as a result of which she moved around across India, and got into the garments business only after her children grew up. She started off with a local block printer, initial sales to Mumbai stores, and then her own company-owned outlets. Her sons joined the company for a while as trusted managers, then struck out on their own. Manju Bhatia, Founder of loan recovery company Vasuli, was born in a business family in Indore. She started off as a receptionist in a pharma company, then moved into the account recovery business from bank defaulters. Though in a male-dominated industry, she used her patience and diplomacy to learn the tricks of the trade and build a successful pan-India company. Rajni Bector, Founder of food empire Cremica, was born in Karachi and then moved to Delhi with her family. After her children went to boarding school, she noticed that there was huge demand for her desserts, which led her to launch food company Cremica in Ludhiana. Despite setbacks such as the violence in Punjab in the 1980s, she persevered and eventually got contracts from the likes of MacDonald’s for bread and ‘vegetarian’ mayonnaise. Nirmala Kandalgaonkar, Founder of vermi-composting tool provider Vivam AgroTech, grew up in small-town Maharashtra and decided to launch a rural venture after her children reached school age. She applied her science degree to develop controlled-environment products for soil engineering using earthworms. She had to travel extensively for promotion and training activities, and eventually got government support after a Pragati Maidan exhibition as well as a TiE award. The company now works with large corporate and self-help groups for bio-gas projects. Ashita Dhawan is an Indian television actress. She is famous of her roles in Sapna Babul Ka...Bidaai and Ladies Special. She is married to Shailesh Gulabani.